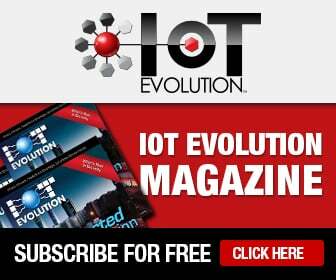 In the last two issues of this magazine we learned about Vodafone’s homegrown M2M platform, which enables it to be more responsive to its customers, and how some customers are leveraging that platform to meet their specific goals. Indeed, Vodafone has the ability to offer end-to-end M2M solutions by combining applications, connectivity, and hardware. This article will talk about how two M2M terminals recently launched by Vodafone make it even easier for the company’s enterprise customers to benefit from the Internet of Things. Those terminals include MachineLink 3G Plus and USB Connect. USB Connect is a 3G quad-band, USB 2.0 modem with internal diversity antenna and support for an optional external antenna. Curtiss explains it is the first Vodafone USB dongle specifically designed for M2M While consumer dongles tend to be on the market for a scant eight to 12 months on average before being replaced with new products, it’s important for M2M dongles to have long lifecycles, Curtiss says. That way the organizations deploying the hardware can have the assurance that those products will be available to support their M2M rollouts as they scale, he adds. The USB Connect addresses those typical pitfalls with a minimum product availability of three years from its launch. “USB Connect was exclusively designed for M2M to address the pitfalls of using consumer-based devices in IoT applications,” says Curtiss. Vodafone’s USB Connect also uniquely addresses M2M requirements via its ruggedized design. Typical dongles are meant to work with a run of the mill PC in a home or office. But the USB Connect from Vodafone was designed to perform in industrial environments in which humidity and temperatures may be well above or below that of a typical setting. Most importantly, traditional dongles are entirely reliant on their host for management and control of the modem. This results in extremely difficult remote troubleshooting and maintenance. USB Connect incorporates over-the-air device management, allowing customers to remotely reboot, troubleshoot, and update firmware all via SMS. As a result, users of this device can save time and money, because they will no longer need to send out a technician whenever the dongle is in need of maintenance. MachineLink 3G Plus, meanwhile, is a 3G pentaband modem and router with GPS offering multiple connectivity options including Ethernet, serial (RS232/422/485), and a USB 2.0 OTG port. Designed to support mission-critical M2M applications in such use cases as digital signage, remote health care, vending, and wireless Ethernet, MachineLink 3G Plus ensures a secure and reliable connection that integrates Vodafone connectivity and multi-level system monitoring. The serial port enables Vodafone and its customers to support legacy devices like industrial machine equipment and new equipment that may not have an Ethernet interface, Curtiss says. And the USB port allows users to connect Bluetooth, Wi-Fi, Serial Adapters, and mass storage accessories for further feature expansion. As Curtiss notes, MachineLink 3G Plus builds on the success of Vodafone’s MachineLink 3G, which can roam on more than 500 networks worldwide. “We’ve built new capabilities in Machine-Link 3G Plus, that are also now available on MachineLink 3G, like the ability to make sure the device roams onto the most cost-effective network regardless of access technologies (i.e. 3G, 2G) and can make roaming choices based on network conditions at that moment in time,” says Curtiss. MachineLink 3G Plus also incorporates a general purpose I/O bank. Typically MachineLink is used in situations in which the device is unmonitored, Curtiss adds. In that case, the installer can easily wire a tamper switch into MachineLink 3G Plus so those responsible for the M2M deployment can see if there was an unauthorized access attempt on the device. This is extremely important to customers interested in monitoring their investment and having visibility to mitigate security risks in today’s world. Like the other integrated terminals Vodafone delivers, USB Connect and Machine-Link 3G Plus are backed by the service provider’s global M2M SIM, simple tariffs, powerful management platform, and professional services expertise. These M2M terminals can reduce complexity of deploying M2M solutions for global customers. Vodafone, which supports more than 20.1 million M2M connections, has more than 20 years of experience in the field.